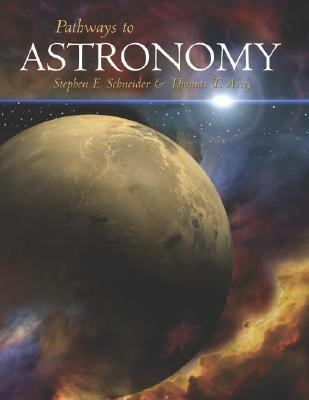 Pathways to Astronomyis designed more like a series of mini-lectures instead of a monograph of the entire field of astronomy. The same material covered in other introductory astronomy texts is included, but this is broken up into smaller self-contained units. These units are woven together to flow naturally for the person who wants to read the text like a book, but it is also possible to assign them in different orders, or skip certain units altogether. Professors can customize the units to fit their course needs. They can select individual units for exploration in lecture while assigning easier units for self-study, or they can cover all the units in full depth in a content-rich course. With the short length of units, students can easily digest the material covered in an individual unit before moving onto the next unit.Pathways to Astronomyoffers the most complete technology media support package available. That technology media package includes: Starry Night Planetarium Software free with the purchase of every new text; ARIS (text web site providing a complete online tutorial, electronic homework, and course management system); 23 Interactives (on the text web site and Digital Content Manager CD); Animations (on the text web site). Electronic Media Integration has been incorporated throughout the text by the use of icons to indicate where additional understanding can be gained through an animation or interactive.Arny, Thomas T. is the author of 'Pathways to Astronomy With Starry Nights Pro V.3.1 to Astronomy', published 2006 under ISBN 9780072922080 and ISBN 0072922087. Loading marketplace prices 23 copies from $1.31 How does the rental process work?